GPS cask runs for March are underway with colour options this month including Red, Silver and Black. 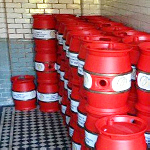 We also stock a range of unbranded casks in various colours should you require them in a quick turnaround. If you'd like to place an order for casks or kegs or require a quotation, contact us today through our online order form. 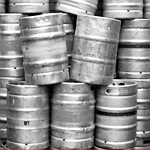 According to an article in the Irish Times, more than 400,000 beer or cider kegs, costing approximately €40 million, have been stolen or gone missing from licensed premises in the Republic of Ireland since 2007. The figure was compiled by the Irish Brewers Association (IBA) using data from the five big Irish drinks distributors, C&C Group, Diageo, Heineken Ireland, Molson Coors Ireland and Richmond Marketing Limited. Global Polymer Solutions have seen a steady increase in cask sales to Ireland over the last 2 years, further encouraged by the acquisition of The Franciscan Wells Brewery in Cork by Coors. Cask ales are starting to become a regular drink found in many great pubs in Dublin, Cork, Galway, and throughout the country. This is a real testament to the many brewers and brewery's to be found in every County in Ireland. Well may it continue. 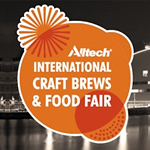 Global Polymer Solutions will be visiting the Alltech Craft Brews and Food Fair in Dublin, Ireland from February 6th to 8th 2014. Focussing on the needs and trends in the craft brewing and distilling industry, the show takes place at Dublin’s Convention Centre and is an ideal opportunity for brewers, distillers, pub owners, food artisans, and craft beer enthusiasts to gather together and share ideas about this exciting industry. GPS cask runs for January are underway with colour options this month including Silver and Black. We also stock a range of unbranded casks in various colours should you require them in a quick turnaround. If you'd like to place an order for casks or kegs or require a quotation, contact us today through our online order form. Jim Kelly has today, 1st November 2013, left the position as Director of Global Polymer Solutions Limited. GPS cask runs for September are underway with colour options this month including Silver, Black, Orange and Green. 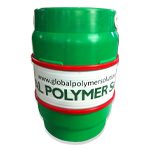 We also stock a range of unbranded casks in various colours should you require them in a quick turnaround. GPS have recently shipped our first container load of 50 Litre kegs to the USA. Triple B Bottlers and Brewers, based in Chicago, are our first customers for the kegs across the pond. Jim Krejcie of Triple B has been working closely with GPS for the past 18 months and said he is very excited at the response he has received from brewers who have tested the keg. DC Brau, one of Washington's largest brewers, have been using the GPS plastic keg since mid-March, treating it like a normal stainless steel keg. "I would recommend GPS kegs as a good alternative to traditional kegs" said Jeff Hancock, co-founder and head brewer at DC Brau. GPS cask runs for August are underway with colour options this month including Silver, Black, and Red. 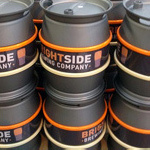 We also stock a range of unbranded casks in various colours should you require them in a quick turnaround. 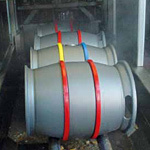 If you'd like to place an order for casks or kegs or require a quotation, contact us through our online order form. As a reminder, we are now able to offer very competitive finance rates on both Keg and Cask purchases through our provider, Oakfield Leasing. Get what you need to keep your business moving, at a price you can afford. Contact us today to discuss your requirements. GPS cask runs for July are underway with colour options this month including Silver, Black, Blue and our new colour Claret. Following on from the Craft Beer Conference in Washington earlier this year, we are still receiving positive feedback from brewers across the pond. DC Brau, one of Washington's largest brewers, have been using the GPS plastic keg since mid-March, treating it like a normal stainless steel keg. 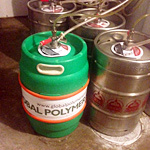 "DC Brau has been actively using the GP keg in our brewery since mid-March of 2013. We've been cleaning it and treating it like a normal stainless steel keg and have had absolutely no issue with the performance thus far." Global Polymer Solutions will be attending the Drinktec show in Munich, Germany from September 16th to 20th 2013. The show is the world's leading trade fair for groundbreaking beverage and liquid food innovations, world premieres and new thinking. GPS will be attending the show on all 4 days and our stand can be found in hall A1 at stand number 430. All cask and keg orders taken at the show will receive a 10% discount on normal sale prices, so don't miss out. We hope to see you there. 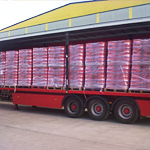 GPS have now been supplying Casks to the UK market for over 3 years. During this time we have sourced finance for our customers, as well as working with a variety of finance providers on behalf of our customers. As we are all well aware, raising finance in today’s economy can be frustrating, time-consuming and unpredictable. GPS are happy to announce that we are now working with Oakfield Leasing. Through Oakfield we are able to offer very competitive rates on both Keg and Cask purchases. Oakfield Leasing have access to all the major funders in the UK, meaning we can guarantee you the best available rates, as well as a fast and efficient service. GPS have noticed a marked increase in sales of our 9 Gallon Cask to cider makers in the UK. 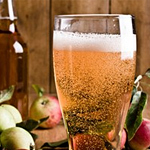 Following the reintroduction of cider into the International Brewing Awards in February 2013, many cider makers are increasing sales, showing a move from bottles to Casks and Kegs. GPS cask runs for May are underway, with colour options this month including Red, Blue, Silver and Black. We also stock a range of unbranded casks in various colours should you require them in a quick turnaround. 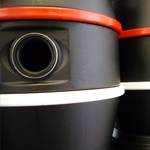 If you'd like to place an order for casks or kegs or require a quotation, contact us through our online order form. GPS attended the Craft Brewers Conference in Washington during March. This was our third successive year attending the show and I have to say, it was our best and most successful to date. GPS used the show to launch the 50 litre keg and we were blown away with the enthusiasm surrounding the event. With over 2800 Craft Brewers currently trading and a further 1200 applications pending for new Breweries to be opened throughout the USA during 2013/2014 this is certainly a growing market, and one we are glad to be a part of. It's been a busy start to the year for GPS, with our customer base continuing to grow both in the UK and across the World. Our new 50 litre Keg is now available to order, with lead times at present running at around 6 weeks. 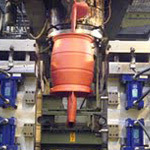 We will be holding a stock of standard coloured Kegs from the end of June, which will be available on a 5 day turnaround. Contact us through our order form for more information on pricing and delivery timescales. Cask runs for both March and April are for silver and red Casks. If you require a different colour please contact us with your requirements. 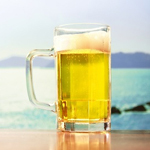 Global Polymer Solutions will be attending the Craft Brewers Conference in Washington D.C from March 26th to 29th 2013. Also known as BrewExpo America, this event is the largest brewing conference and trade show in the U.S and is the perfect opportunity to meet leaders in the national and international brewing arenas. The show provides an environment that allows exhibitors and buyers to develop business relationships and helps brewing professionals encounter the latest and the best products and services that industry vendors have to offer. GPS held an open evening at our manufacturing plant in Blackburn on the 10th January 2013. It was good to see some old faces, as well as meeting several new ones. We would like to thank everyone who attended and hope you all enjoyed it and found it an eye-opener. We rounded off the evening with a buffet around a log fire, accompanied with a pint of the local tipple. Read some comments from our guests below. GPS cask runs for December are well underway, with colour options this month including Red, Silver and Green. Our order deadline for Christmas delivery has now passed, but don't panic. We stock a range of unbranded silver casks should you require them in a quick turnaround. As a reminder, GreenCask is currently available at a discounted price of £35.00 on all orders over 50 casks. This offer expires in a few weeks, so don't miss out.